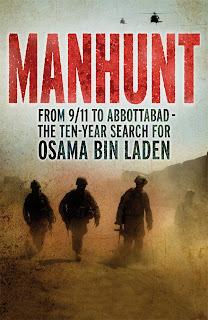 I finished reading Peter Bergen’s Manhunt: From 9/11 to Abottabad – The Ten Year Search For Osama Bin Laden a couple of days ago, and although the book said so much to me, I find there is not much I have to say about it. These current affairs/general knowledge-y books are quite wasted on a person like me who chooses to not read the news. But it was hard to resist a book about a man who changed the course of humanity, when it presented itself. 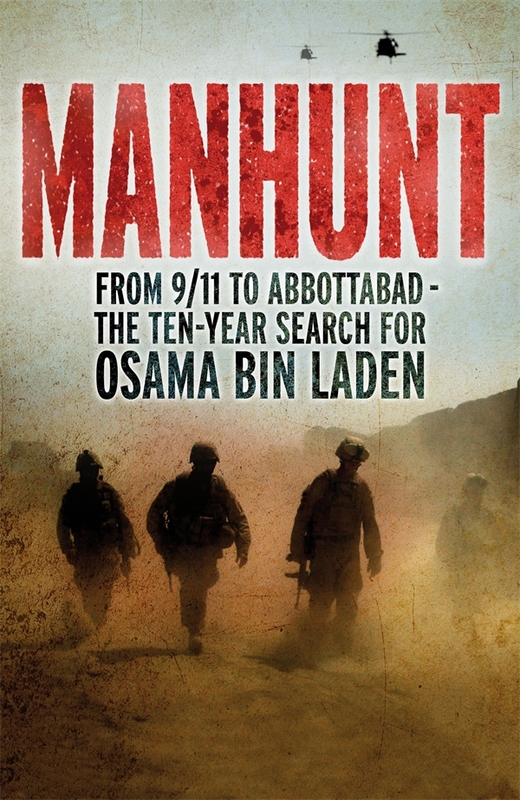 And through the 240 pages of the book, I lost myself in the fascinating, almost novel-like story of America’s hunt for Bin Laden after he launched what was perhaps the most brutal terrorist attack in the history of modern civilization. The book takes us through Bin Laden and the American law enforcement agencies’ long parallel paths from 2001 through 2011 until they finally converge in Pakistan. Bergen traces the beginnings and rise of Bin Laden and America’s, especially, the CIA’s consequent search of him. He tells how from Somalia to Saudi to Afghanistan to Pakistan, from the Clinton to the Bush to the Obama administration, the deft Osama gave the Americans the slip for nearly two decades. The author recounts how the Bush administration made one expensive error of letting Osama slip by in the mountains of Tora Bora in Afghanistan soon after the 9/11 attacks and how it cost them hundreds of thousands of man hours and money. He goes on the say how things changed once Obama took over and how despite his anti-war stance, he gave it his all to find America’s number one enemy. Bergen sketches Osama’s life on the run too. Sourcing from the many documents and proofs collected by the intelligence agencies, he describes Osama’s near infallible security measures, his astute leadership skills while in hiding and even some idiosyncrasies. He offers glimpses of his family life, especially his relationship with his wives and children, and close associates as well. It is easy to imagine a Bin laden holed up in the caves or in an inconspicuous bungalow when Bergen writes about it. While Bergen’s writing is good, he never tries to be anything else but the journalist that he is. His lines are fact-laden, purposeful with not one unnecessary word. You may well be reading newspaper reports because Bergen’s words lack emotion. However, his pace more than makes up for it, and will serve well devourers of news. As for me, I’ve said so much already, but do you notice how I’ve not said anything (significant) at all? Well, the bottom line is 2 out of 5. Featuring Ranveer Singh in and as BRAHMA. The ‘Siege of Mithila’, like ‘Chandrakanta’, seemed to be excessive at all times. Banker seems to have gone on an overdrive with the second part, in words and their content, making it the second fattest book of the series with 522 pages. There’s so much happening on every page, it’s almost vulgar. Even the writing is so adjective-ridden, that one sentence feels like a mouth so stuffed you cannot chew or swallow. Sample this: Around noon, they had left behind the rolling grassy plains where wild horses, elephant and rhino roamed freely and entire clans of lumbering hippopotami rolled cumbrously in mud pools, and the path had begun undulating constantly, seemingly unable to stay flat any longer, while thickets of wildbrush, sage, bamboo and bizarre profusions of multi-hued wildflowers bounded on either side. My editor hands have wanted to slash in half almost every sentence in this book. There might be readers who appreciate this style of writing and call it giving attention to detail, but I find it onerous. Why, even the first mention of the ‘Siege’ part of the ‘Siege of Mithila’ happens after 300 pages! 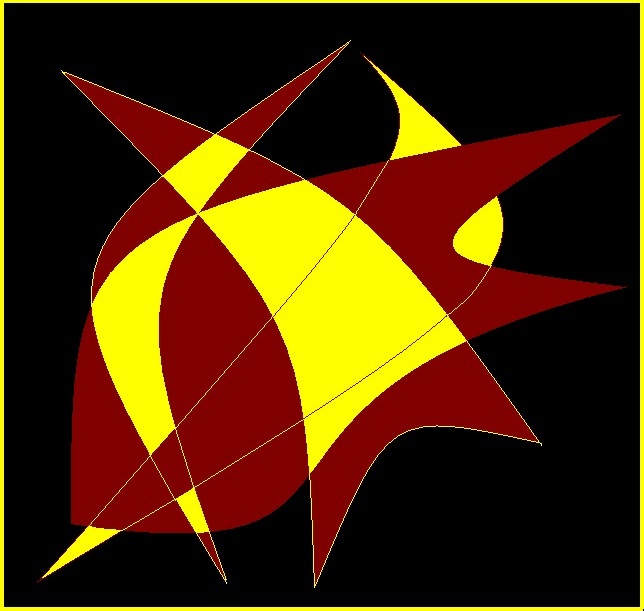 Another disproportionate element are the many, oh so many episodes involving sorcery and magic. Because I’ve not read any other version of The Ramayana, I don’t know if they’re part of the original or fanciful creations of the author. While I love and encourage different interpretations of old tales, I’ve found too many things in this book gaudy. Women turning into snakes, people running through magical corridors, men going underwater for missions… you get my drift. Perhaps I’ve read too many ‘realistic’ versions of epics like ‘Yuganta’ and have lost the taste for such work. But did I stop reading? No. Could I stop reading? No. Why? Because Banker knows how to hold his reader’s attention. And even though I point fingers at the lack of refinement, I must give hand him merit as a writer. It’s like commercial cinema – flashy, given to hyperboles, silly even, but entertaining. Very, very entertaining. Banker makes for a very successful thriller writer, and never lets his pace flag. So long winded as it may seem, you willingly accompany the entourage of Brahmarishi Vishwamitra, the princes Rama and Lakshman, their senapati Bejoo, and an incognito Sita & her bodyguard into the woods and under the oceans, fighting beasts, dacoits and demons and into Mithila for an impending Asura invasion. Parallely thrown in is action from the demon-worshiping Manthara and Dasaratha’s queens in the Ayodhyan palace. 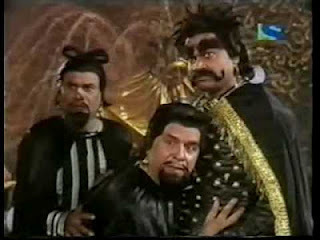 Oh, and not to forget a swayamvara and the grand culmination in, guess what, a sorcerous episode. This is part two of the seven-part series review of The Ramayana by Ashok Banker. 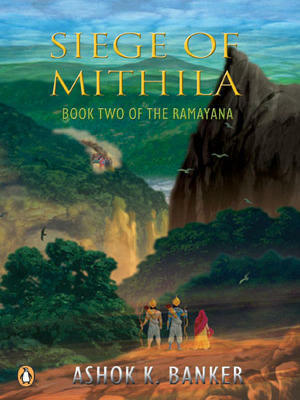 Read the review of Book one of The Ramayana - Prince of Ayodhya here. OK, so I had a lot of free time on my hands today! Now meet Fire, the MS Paint version, of course. 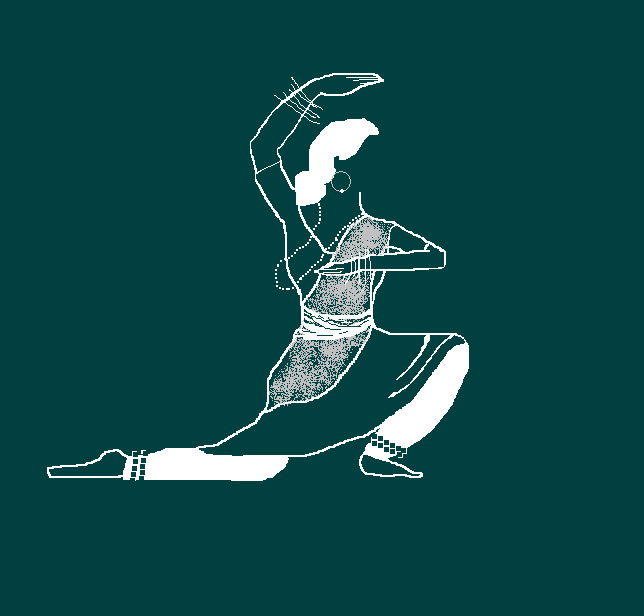 An attempt at making a Kathak danseuse using MS Paint in the chalk on board style. What do you think? 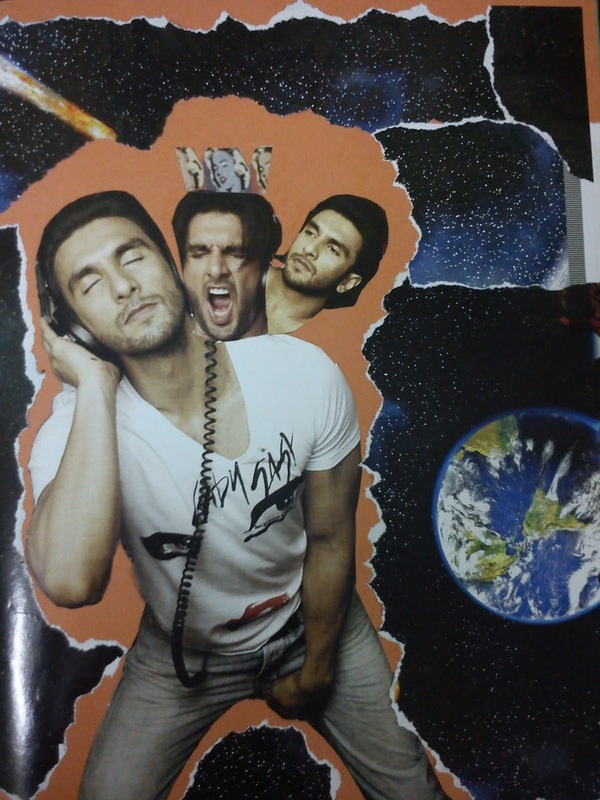 Collage number 2. 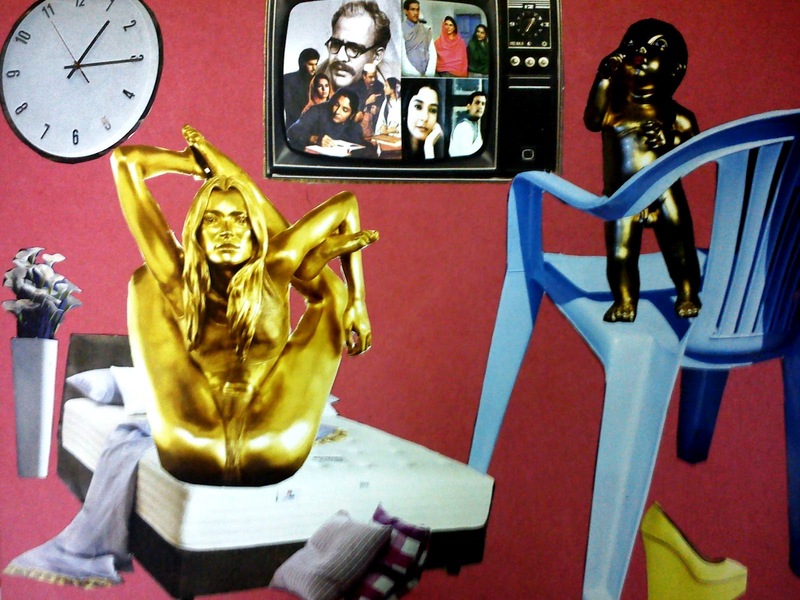 I call this one 'Unpeople' because this room is peopled with things. Whoever gets it, say 'Aye'!